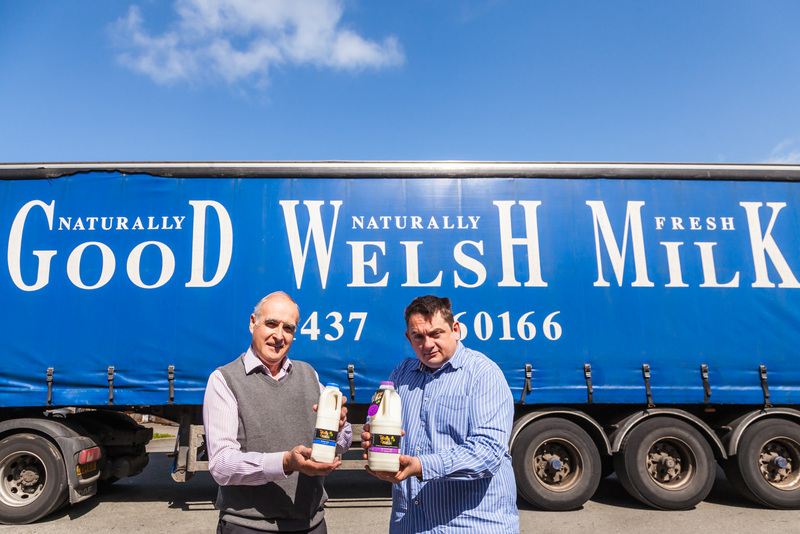 A Pembrokeshire dairy processors’ desire to add value to welsh milk has become a reality with the launch of a new brand – Totally Welsh. Haverfordwest based Mark Hunter Ltd has expanded its bottling operation to include its own dairy brand – and has picked up an award for job creation in the process. The company has been supported in its brand development by Welsh Government backed project Cywain, which was established to help bring added value to primary produce within the agriculture sector. Originally formed as a fruit and vegetable packing business, Mark Hunter began bottling milk for local suppliers five years ago. Today the company employs 50 staff and processes 400,000 litres of milk each week, supplying milk and cream to stores and schools throughout south and west Wales. Said Mark Hunter’s Factory Manager, John Horsman, “Cywain has helped us enormously. The funding and support we have received from Cywain has enabled us to work with the best people to achieve a high quality brand image and new website. “It has enabled us to have a clear marketing strategy in place part of which is a targeted price promotion for the first three months. Lowri Edwards, Cywain’s Development Manager for South West Wales said, “We are delighted to support such a forward thinking company as Mark Hunter. The brand launch comes at a time of growth for the company, an achievement which was recognised at the recent Institute for Sustainable Design (ISD) iSustain Awards at the University of Wales Trinity St David. ISD encourages innovation through design and improvement, and Mark Hunter received the Jobs Growth Award, which was judged by the Welsh Government’s Head of Knowledge Transfer and Commercialisation. Totally Welsh: Mark Hunter Ltd Factory Manager John Horsman (left) with Managing Director Mark Hunter. Cywain was set up by Menter a Busnes to bring added value to primary produce within the agriculture sector. The project has received funding through the Rural Development Plan for Wales 2007-2013, which is funded by the Welsh Government and the European Agricultural Fund for Rural Development. Menter a Busnes was established in 1989. With headquarters in Aberystwyth it specializes in supporting new businesses, business growth, agriculture, skills development and food and drink sectors throughout Wales. It manages a number of programmes on behalf of the Welsh Government including Farming Connect and Cywain.